The Melt Flow Index (MFI) or as it is latterly known, Melt Flow Rate (MFR), is one of the Plastics industry's oldest, and most widely used rheological quality control tools. It has been around for decades and the instrument comes in may shapes & configurations, although all are a basic form of capillary rheometer. The MFI value quoted for a particular material is an average weight of material "cut offs" collected at set time intervals under isothermal constant load extrusion. 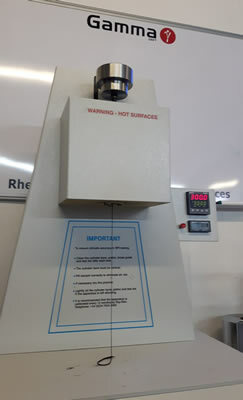 The instrument is also used to determine Melt Volume Rate (MVR), which derives the time taken for a known volume of material to be extruded through the die for a given load & temperature. 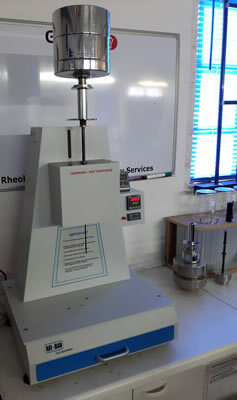 Gammadot uses a Ray-Ran Model 6MBA Melt Flow Rate instrument for providing measurements in accordance to the ISO standard 1133 Procedure A (ASTM D1238 Procedure A) for MFR and ISO standard 1133 Procedure B (ASTM D1238 Procedure B) for determination of MVR.